A lot of people are asking the same question over and over again, how to improve in chess? So, I have decided to write this whole thing once and for all. First of all it is important to know at what level you are playing now. It would really depend what to study and how to improve from the player’s current (estimated) rating — chess level by ELO. Here is a chart that gives an idea on what should players work on at different levels of their chess career. Chess level below 299: Learn basic rules of chess, how pieces move, and special rules (en passant, castle etc). Chess level 300-1000: Learn basic chess ideas such as checkmate, simple attacks, etc. Chess level 1000-1199: Learn basic opening ideas. It’s recommended to play 1.e4 as white and sharp variations as black. 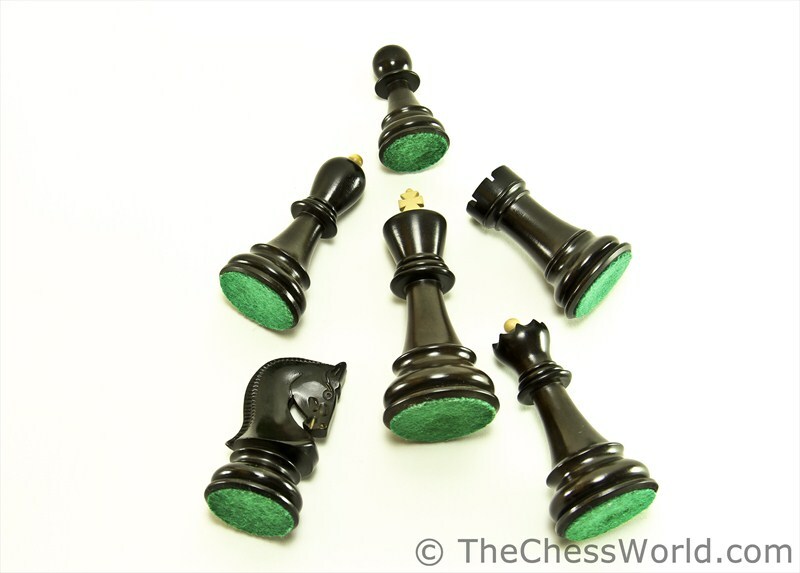 Learn basic checkmates (King + Queen vs. King, Queen + Queen vs. King, Rook + Rook vs. King, King + Rook vs. King). Practice them until you are completely confident and can checkmate anyone (even a GM) in these positions. Chess level 1200-1399: Study more openings, but do not stick with “rarely played variations”. It is a huge mistake that a LOT of chess player make while studying openings, to study rarely played/unusual lines which most likely would never come up in real life tournaments. Studying standard opening lines would yield a lot more results! Spend maximum of 20% of your study time to study openings. Until 1800 level openings aren’t very important. Concentrate more on middle game and tactics. Chess level 1400-1599: Endgame is the key on this level. Only imagine the advantage you get against your opponent if you know how to play endgame well and your opponent does not. The odds are that your opponent will loose the endgame almost immediately. Study basic endgame schemes: King + Pawn vs. King, King + 2 Pawns vs. King, King + Pawn vs. King + 2 Pawns and so on. Besides the endgame do tactics problems (puzzles). Play as much chess as possible especially in real life over the board tournaments with a long time control (that’s where you learn the most). Chess level 1600-1799: If you got on this level it means you are already strong, very solid chess player which knows a lot about all stages of the game of chess. Keep working on your middle game, strategy and tactics. Try to play blindfold chess. It is easy these days, since programs like Chessmaster 10th offer really nice options of blindfold chess. You are basically only see the chess board with no pieces on it, but you can move these empty squares and play chess (because you know that knights are on b1 and c1, bishops are on c1 and g1 and so on). During the game you have to keep all the pieces in your head, since they are invisible which is hard in the beginning. Play really weak players first. Blindfold chess helps to develop player’s visualization ability and eliminates most blunders. All GMs are able to play blindfold chess well. Chess level 1800-1999: Wow, you are ready to become an expert. Now it is a good time to systemize your opening repertoire. Ideally, you should know very well 2-3 openings for white and 2 for Black. The key to advancing to the expert level here is to analyze your own games. After the game, sit down with a chessboard, paper and pen and go over the game move by move writing down thoughts on your own and your opponent’s moves. Only then you may check your game with an engine (Rybka, Fritz, etc). The number #1 mistake chess players make, they either do not analyze their games at all or analyze them by using chess program right away. This is a big mistake which slows down chess progress.The main idea of analysis is not to look at what computer thinks was a good move, but to look for that move yourself! Would it make sense to solve chess tactics puzzles by plugging them into a chess engine? Probably not.Also it is great idea to go over GM games and think them over. The best way to go over these high level games is to first go over all the moves without author’s comments and only second time read the comments and annotations. This works great with the openings too. Remember that when you read your opening book tomorrow. I hate to tell people this, but ratings seem to be inflated no matter what system you have. FIDE ratings are crazy. In 1972 when Bobby Fischer’s rating was around 2780. If your rating was say 2570. You would be in the top 25 in the world. Today You probably would even make the top 200. In USCF Fischer’s rating was 2802, and nobody was really close. Now we have a Grandmaster. Who has a rating around 2815. Greater than Fischer’s, but has yet to show that he has the talent of Fischer. Aminul islam my friend . 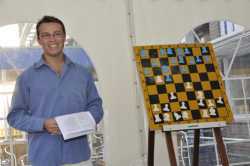 His fide rating 2057 and chess.com rating 1600+ here is his propile link you can check it. I would recommend playing around 300 games on lichess.com to find your true FIDE rating. Chess.com is massively inflated – I achieved 2100 on it, whilst my actual rating is more like 1550. The people on lichess, however, seemingly play a lot of chess and are quite skilled – my rating there fluctuates between 1400 – 1600, which is about right. now a 1800 uscf and going up! Online chess sites ratings are really inflated. For example, I know a few people who have 3000+ ELO on ChessCube and 2500+ ELO on ICC. They are master strength in reality. As for your question it can be either USCF or FIDE since they are usually about 100 points apart (not necessarily USCF being higher). There are some tests that can help you give a more accurate idea of your over the board rating, but the most accurate measure is to play official chess. What rating is this supposed to be in? USCF and FIDE? Because if that is the case then chess.com ratings do not work as they tend to be over inflated. I only have a chess.com rating and so I do not know which applies to me as I do not have access to getting one of the other two. That is a huge rating difference. You need to first figure out what is your actual strength. How many USCF games did you play? If not many then your USCF rating maybe under-rated. If you played a lot of USCF games, then chess.com rating is too inflated. But again, what kind of chess you play online? Slow? Quick? Bullet? After you figure out your actual strength you may use the above table as an outline for your training. What rating (strength) are you, admin? My fav moves are: 4 move mates for those that do not know how to block them….Have been playing chess a very long time. 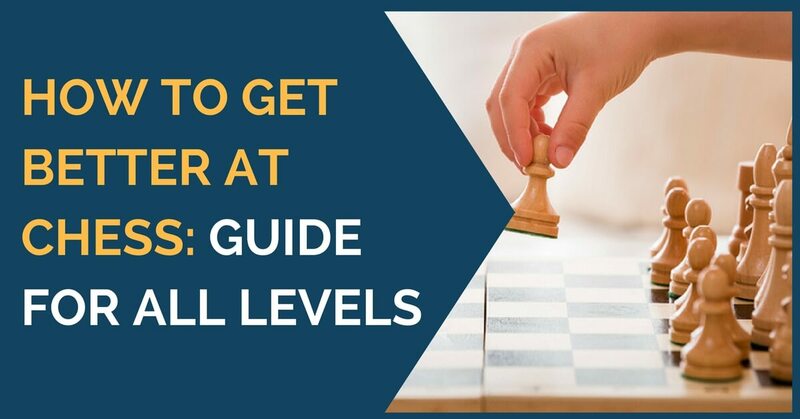 This is a nice general guide on getting better at chess. I would recommend, after immersing on general principles, to streamline one’s move-selection process and calculation technique. It’s ’round about 1600-1799 level. This is where it starts to get a little more complex than before…and knowing how to calculate would really help you find the ‘duds’ and zone in on the really good moves. Hello, 1700 is a pretty high rating. What I would suggest you keep doing tactics problems and also working on your endgames. Also , play at least 50 tournament games a year. Try playing over the board and not online, these are actually two different things. Try to choose tournaments with the opponents about 100-200 points stronger than you. That way you will progress quicker. my chess.com rating 1700.I want a good player.I am 14 hours chess practice daily. (tactics,end game,article etc. )Do you give me a daily chess practice routine? (please help me). or check ebay/amazon kind of places (cheaper). You have much space to improve! I am teach chess to people! Good job! There is a plenty of room for improvement! Hello, Ranadeep and thank you for you thoughtful reply. PS We are currently experiencing technical difficulties, so email forms don’t seem to work correctly. Just use my email to send your materials: webmaster@thechessworld.com. Hey Friend Growlf,I thinkMr.Admisistrator is right,as I am a tournament player and I play in Fide rated tournaments,I know how much blindfold chess can help me,Just try to play yourself ,you can also play,by the way It helps me a lot,and my fide rating is now 1865,my fide id is 25007980………and one thing,it does not require any special skills,it only needs your concentration and love for this great game. As,I want to be a GM…..so I play it regularly…..in fritz and chessmaster 10th edition. By the way Yury can I share some of my thoughts and annotated games here….if u wish!! Actually many people can play blindfold chess. I think, that if a person is rated above 2000, the chances are quite high that he is capable of playing a decent game blindfolded. So, why not start practicing when you’re around 1800? The board vision will be greatly improved. Specially gifted can play 10 or more blindfold games at the same time. Suggesting that people play blindfold chess to get better sounds stupid. This is a special skill that those gifted with photographic memories will prevail in. Those who don’t will just become frustrated and feel stupid. It’s better to just tell people to try and calculate deeply as possible during their games, even past the point of quiescence (after a combo). Did you ever know that your name is the exact same as mt name (Jason)? Sharp variations for black are those where black has the initiative (sometimes risky and double-edged). Examples Dragon, Meran,etc. When you play in a rated tournament you get a rating. I have played in like 20 tournaments and my rating (strength) is 1200. Interesting read and great blog layout, look forward to reading more from you. Have a great christmas and new year! Thanks, from England. What is meant by ‘sharp variations’ for black? I’m sorry Zoheb, 300-1000 category is probably too broad and I didn’t write about it explicit enough. The idea is that on this stage there is no need to spend much time on openings it is better to concentrate on basics (checkmates, some tactics, very simple endgames). I always enjoy the articles on this site, especially about the diamond studded sets. I thought you would like know our site that also looks at the chess industry and the chess dealers. In this age in internet, everyone is claiming everything, so I am personally visit all chess makers in India and chess dealers in Europe and US. May be we can share some of the articles between two sites, or I can do one specially for you. If you play chessmaster challenge or yahoo chess it gives you a number. this are good suggestion to get better in chess but can you first tell us your rating just to be sure that it works 🙂 thank you and you make a good job! It is a very good question. The only way to figure out your chess rating (level) is to play in real chess tournaments and to wait until your rating gets steady. To get a rough estimate of your chess strength you can join one of chess playing websites like [url]www.freechess.org[/url], play there and see what your rating gets to. Another way, maybe to play against the “characters” in ChessMaster or Fritz. Hi! I am a Master now! Hi I’m a Master now! thechessworld.com is very informative. The article is very professionally written. I enjoy reading thechessworld every day. You really have a nice blog! It’s so great to watch Kobe Bryant and LeBron James play over the board game of chess. It’s quite amazing! Thanks for sharing some of this information. I really enjoyed reading this blog over and over again! There is obviously a lot to know about this. I think you made some good points in Future also. Yes it’s really nice. Really ! Thank you very much for adding this. I couldn’t seem to find the text for this video for quite a some time.